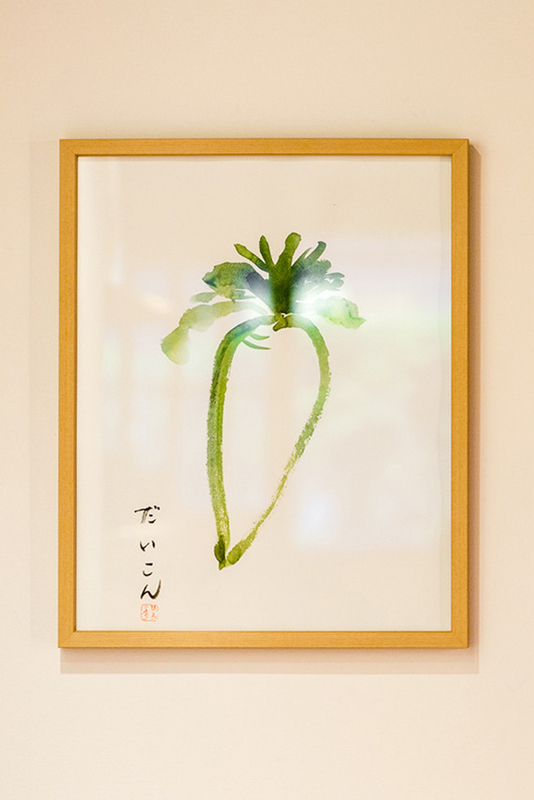 Reimagining a traditional Japanese tea room from the Edo Period. 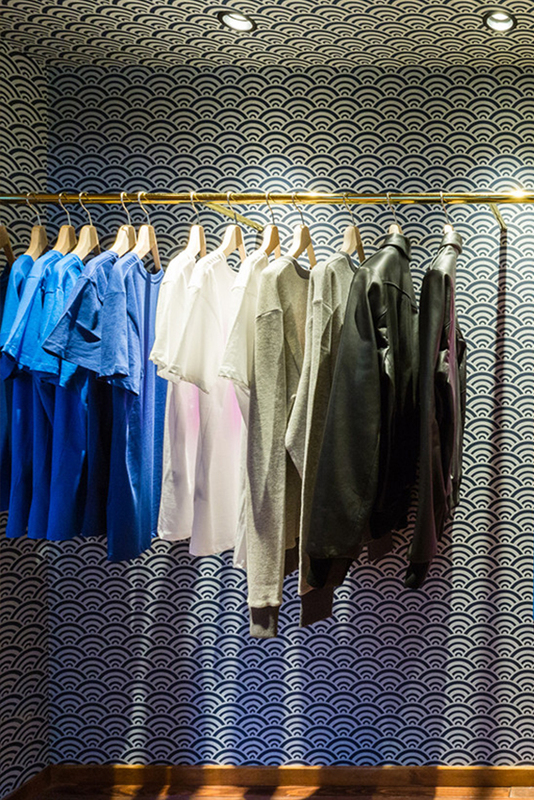 First founded in 2002 as an electronic music label, Kitsuné has since become an eclectic cross-cultural experiment that later branched its roots into wider lifestyle sectors tapping fashion and coffee. A significant part of the label’s ethos involves remixing French and Japanese aesthetic sensibilities that often take the form of minimal and contemporary designs. From Maison Kitsuné apparel to a full roster of DJs, there are plenty of ways to understand the kind of world that Kitsuné has brought to fruition. 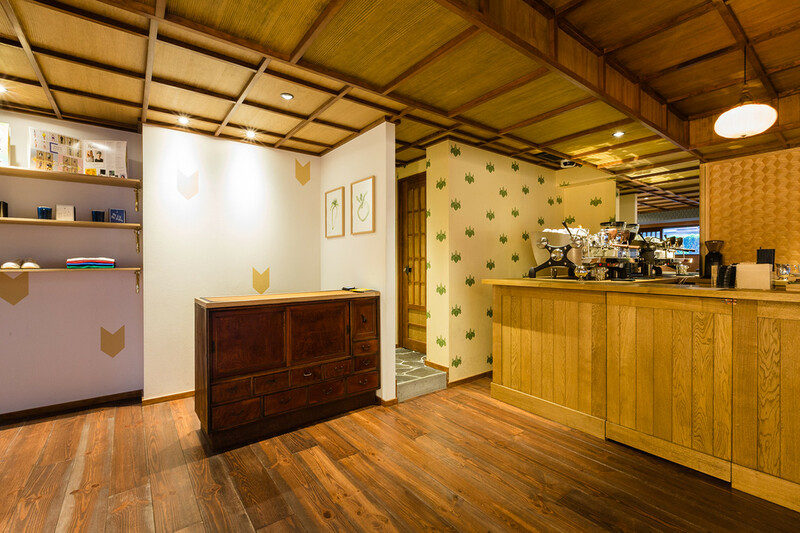 One such way is to examine Café Kitsuné, in its interior architectures and product offerings. 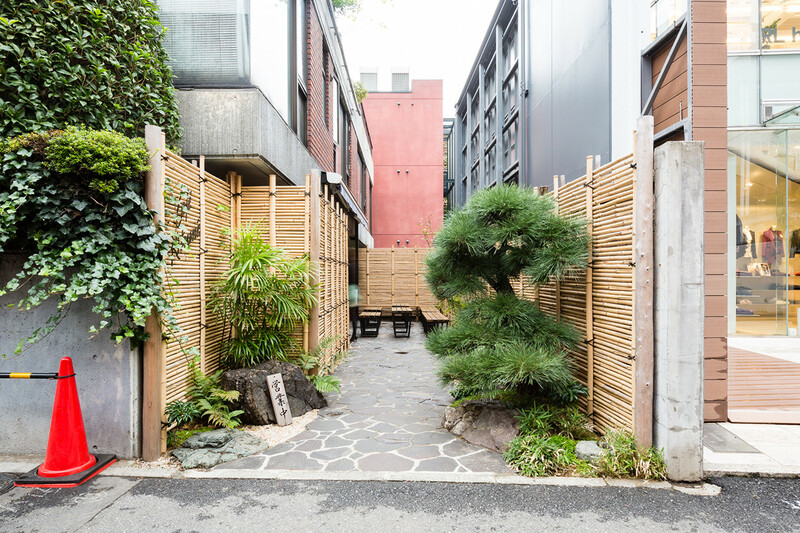 Nestled along the southern end of Tokyo’s Aoyama district sits a Café Kitsuné, front-lined by skinny bamboo fences, Japanese kuromatsu trees and a quaint open-air courtyard concept. 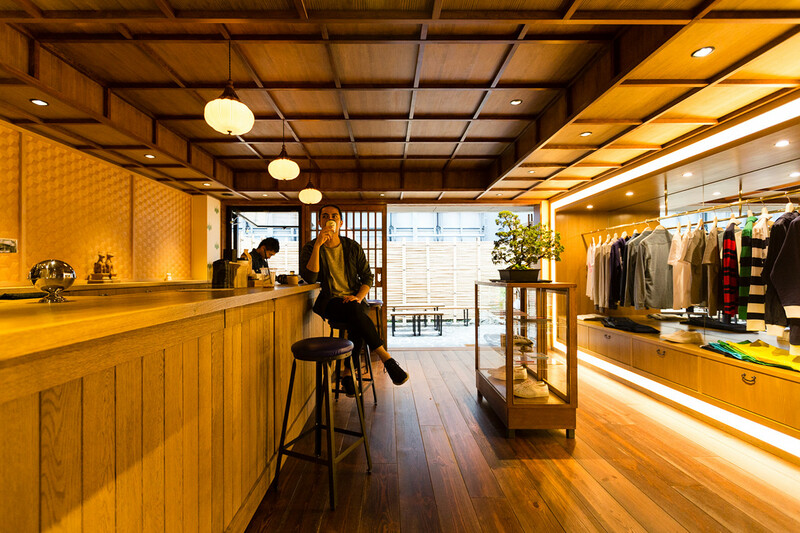 Opened in 2013, the cafe neighbors major household shops like Comme Des Garçons and Prada, a kind of cosmopolitan pit stop for tourists and locals alike who wind down on slayer espressos, chillwave music and mini-baguettes. 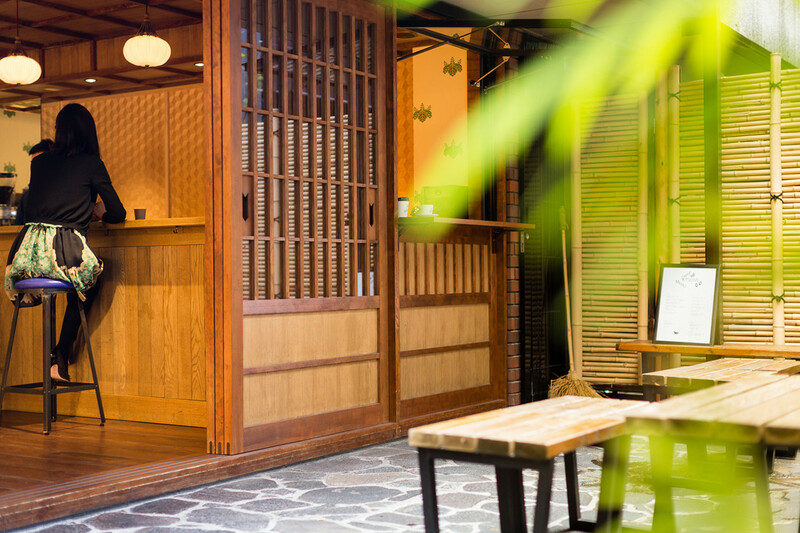 The cafe fosters an ambiance similar to that of modern Parisian cafes while presenting a unique interior reminiscent of a traditional Japanese tea room from the Edo period. 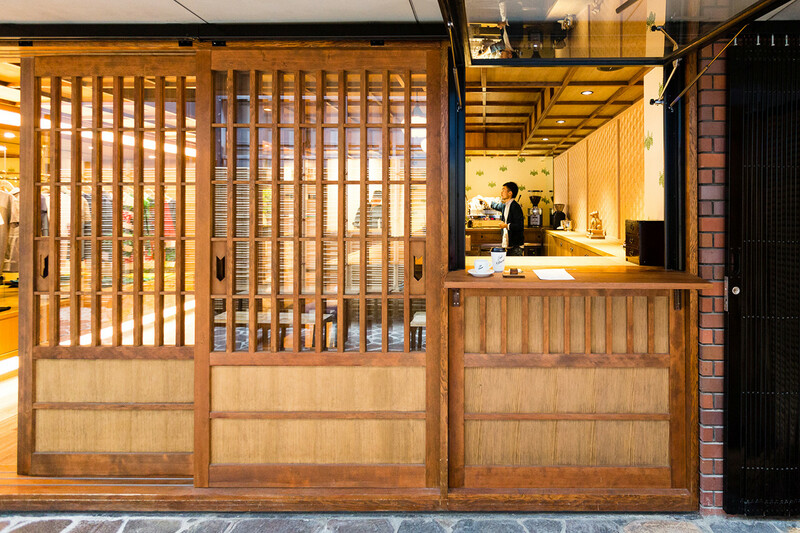 Imagine antique wallpaper, fusuma sliding doors, perfectly symmetrical wooden paneled ceilings, cedar parquet flooring, industrial brass pipes and vintage-style yellow hanging lamps, which cast soft lights throughout the cafe. 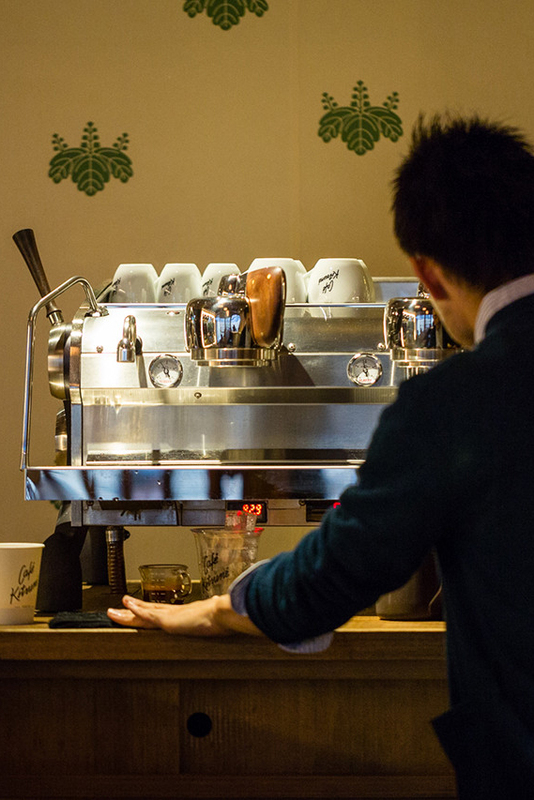 Professional baristas work slayer espresso machines so you know you can appreciate that each cup is timed manually, with flavorful roasts inducing notes of chocolate, grilled hazelnuts or hints of cherry. The popular fox-shaped Kitsuné biscuit (“Kitsune” means fox in Japanese) is many people’s choice of snack and goes well with the beverages offered. The menu today includes espresso, macchiato, americano, latte, cappuccino, dirty chai, cortado white or mochaccino; Beans sourced from the rich landscapes of Guatemala, Africa and South America. You can either have your order packed as take-away or sit in and enjoy the atmosphere as you listen in on a well-curated playlist featuring artists like Toro Y Moi or Les Gordon. The obvious choice of the latter would be recommended. 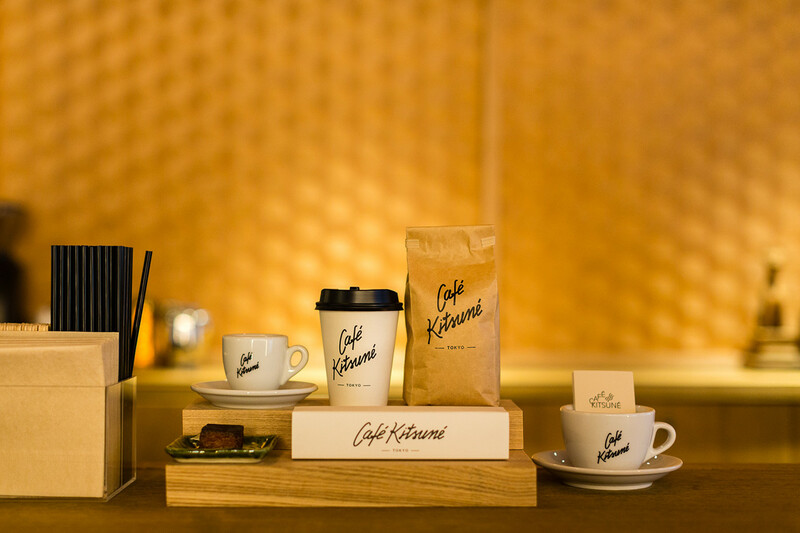 The Aoyama cafe is one of 3 branches among the Café Kitsunés that currently operate; the others are situated in Seoul and Paris, with a fourth addition soon to open its doors in Indonesia. 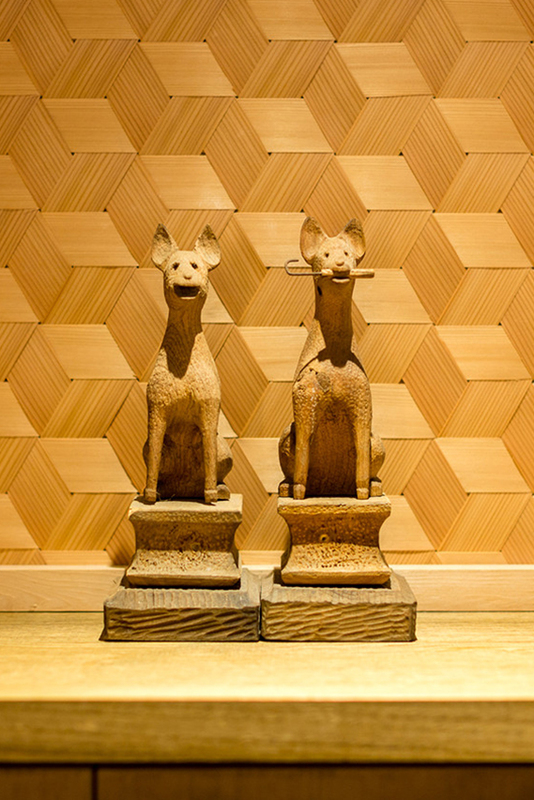 Each cafe embodies a distinctive identity, presenting a look and feel that’s specific to the region it’s in. In line with the cafe’s 5th anniversary, the Café Kitsuné Collection is presented and will be coming soon to the Gift Shop. The collection is comprised of a full range of tableware, ready-to-wear and accessories. Ceramic crockery such as cups, saucers, mugs are featured while water glasses by Duralex and tumblers make up a simple and refined assemblage. 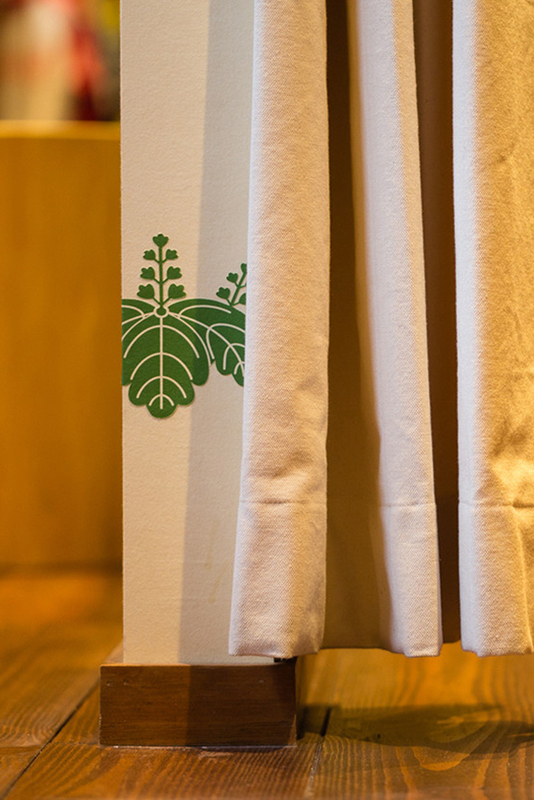 For apparel and accessories, sweatshirts, t-shirts, caps, a tote bag and its mini version, an iPhone case, keyrings and ballpoint pens come in a latte color and boldly display the Café Kitsuné logo. 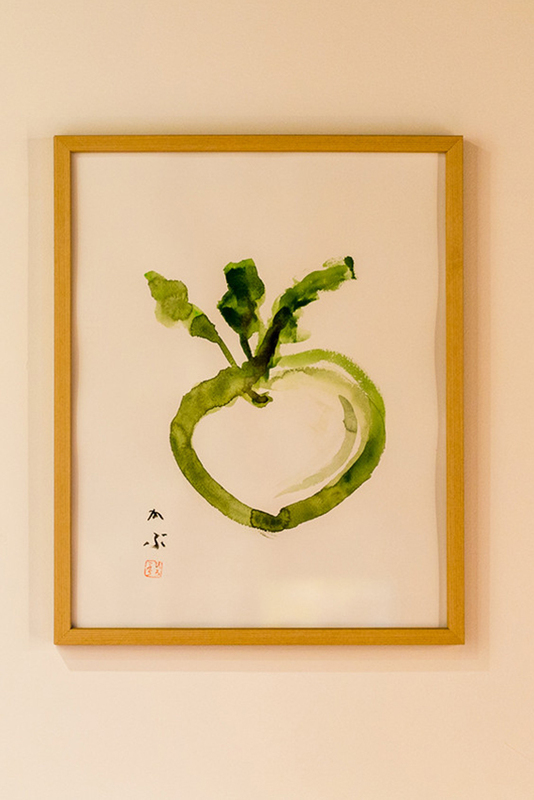 Check out the photos above for a look at Café Kitsune Aoyama and click here to read more about Maison Kitsuné. Stay tuned to find out when the Café Kitsuné Collection drops on the Gift Shop and download our app to be notified of the release.